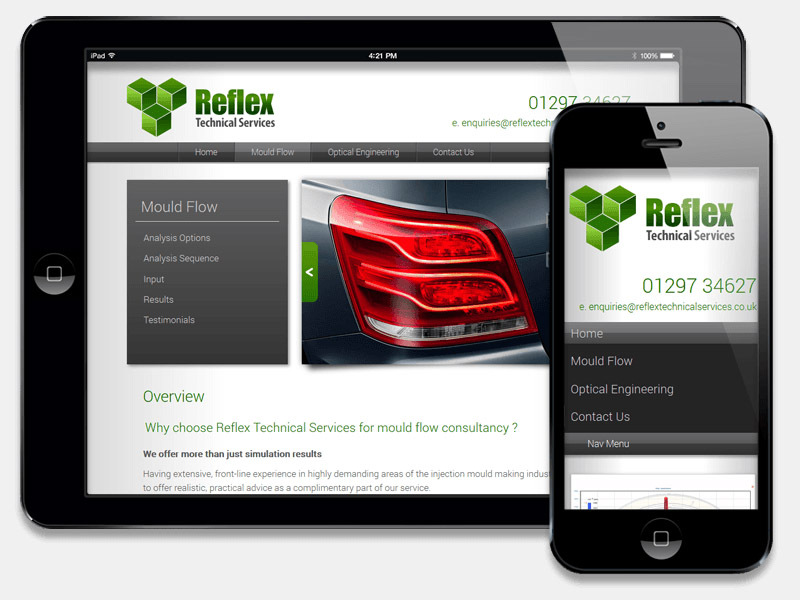 With over 25 years experience in highly demanding areas of the injection moulding industry, Reflex Technical Services provides expert mould flow consultancy to a global customer base. As is so often the case, a new client came to us, aware that their existing website was failing to provide the professional image or flexibility that they required. "Could we help?" Yes, we could and following a consultation, we set to work on the new site. As the name implied, the supplied content was rather technical in nature but by making good use of the images available and a new logo that we created, we were able to create a modern site with all of the features that the client required. Based on the latest Worpress CMS, the expandable menus and image galleries ensure that the site can be updated by the client, with any future content.